These guys are legendary. 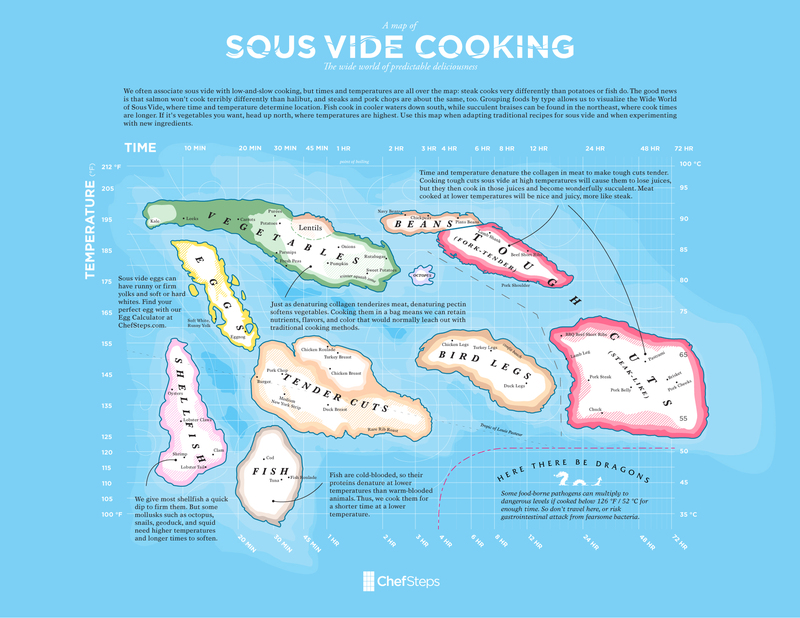 They have gone through and road tested for me and all you guys out there the best times for every ingredient you could think of to put into your SousVide, which is also made up into a printable version if you need a hard copy. Below is a link through to their site and the chart that they have made.